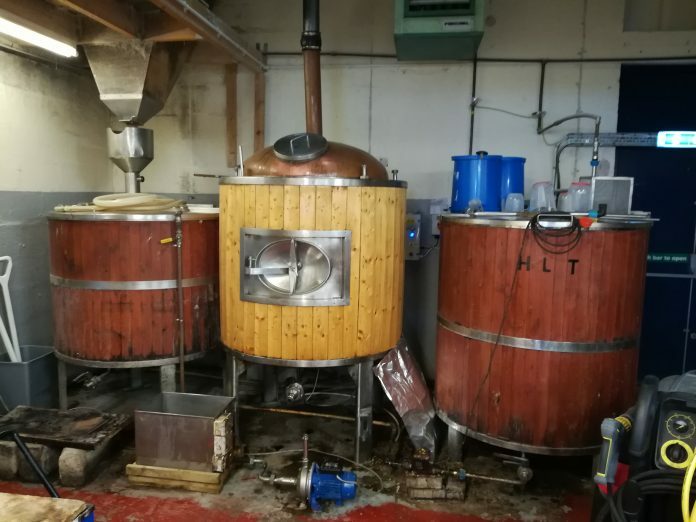 A small Cornish brewery has been put up for sale, after the owner decided the time was right to move back to Cheshire. Redruth-based Coastal Brewery was established in 2005, moving to bigger premises on Redruth’s Cardrew Industrial Estate in 2009. Owner and head brewer Alan Hinde brews a number of core beers, including the popular Hop Monster and Angelina golden ales, and darker beers, such as Merry Maidens Mild and St Piran’s Porter, as well as a number of seasonal and special throughout the year. He commented: “We’ve had a great time for 12 years, building up the business, and winning a number of CAMRA and SIBA awards along the way. “Merry Maidens Mild and golden ale Poseidon have been particularly popular with beer judges. The sale includes a complete six-barrel brewkit, with five fermenting vessels, hot liquor tank, cold liquor tank, copper, mash tun, pumps, control panel and cold room. There is also a new van, a steam cleaner, cask washer, 988 casks, forklift office and computer, as well as 385 5kg freskpak hops of various varieties. As well as the brewkit, the unit has its own taproom bar with four keg lines, a busy bottle shop and chiller fridges.